On Thursday, both parties met in Putnam County State Supreme Court for a hearing on DA Adam Levy’s defamation lawsuit against Sheriff Don Smith.The case began last summer, when Levy filed a $5 million defamation lawsuit against Smith alleging that t… Please login below or purchase a subscription to the Putnam County Courier to access this content. County Executive Mary- Ellen Odell will ask the State Attorney General’s office to investigate a series of robo calls received by dozens of Putnam residents earlier this month criticizing her administration. In an exclusive interview, Odell sa… Please login below or purchase a subscription to the Putnam County Courier to access this content. A half dozen senior citizens from the western side of Putnam traveled to the eastern side Tuesday night and called on the county Legislature to advocate for the seniors of Philipstown. The Putnam Legislature conducted its budget hearing at the histo… Please login below or purchase a subscription to the Putnam County Courier to access this content. Two hundred security cameras have been installed throughout the Mahopac School District to protect students, faculty and staff from outside intruders. Superintendent Thomas Manko reported the installation of the cameras last week telling the COURIER… Please login below or purchase a subscription to the Putnam County Courier to access this content. 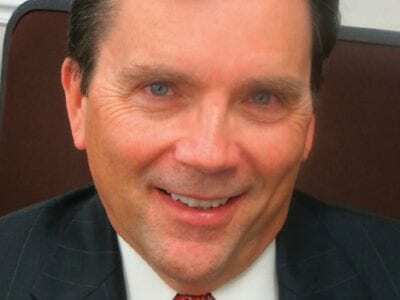 Tim Conway has been named as interim Superintendent of the Brewster District effective Jan. 3, 2014. Brewster’s long time number two administrator will become Acting Superintendent of Schools on January 3, 2014, following the retirement of Jane Sandb… Please login below or purchase a subscription to the Putnam County Courier to access this content. Forecasts that traffic throughout eastern Putnam County would become a nightmare when a section of Interstate 84 carrying 75,000 vehicles a day was closed for bridge replacement work in Southeast never materialized. Traffic throughout eastern … Please login below or purchase a subscription to the Putnam County Courier to access this content. 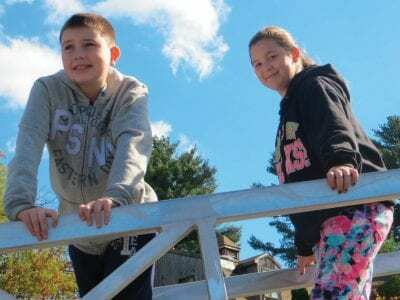 Kevin Munch, 9 and Jayme Revinson, 11, both of Mahopac, take a breather while climbing the MFD 105- foot tall tower ladder truck. 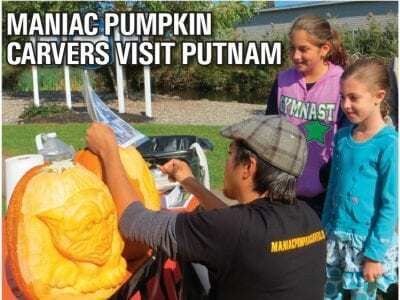 The Mahopac Fire Department welcomed residents from throughout the area Sunday during its annual Fire Prevention program… Please login below or purchase a subscription to the Putnam County Courier to access this content. New Course for Tilly Foster? Tilly Foster Farm, home to heritage breeds of cattle, sheep and other livestock, as well as antique tractors, engines and open space to protect the watershed, could soon follow the model of the Putnam County Golf Course. Golf Course? Yes, that’s rig… Please login below or purchase a subscription to the Putnam County Courier to access this content.